Although we do not have any recordings of Florence herself, there is a wealth of recorded music associated with her in one way or another; which is hardly surprising since so many of her friends, admirers and fellow performers were musician or composers. Elsewhere on this site I have provided material about commemorative music (Ellington's "Black Beauty" etc) written about Florence [See Commemorative items]. Here I concentrate on versions of songs she performed in her shows, starting chronologically with Shuffle Along as her first major success. Material from earlier shows may be covered later. The sensational show that kicked off a revival of Black musical entertainment and brought Florence Mills international fame. Florence's first show under her own name, with songs written specially for her by ragtime composer J. Russell Robinson & lyricist Roy Turk. They emphasized her jazzy side, with the very popular "Aggravatin' Papa" and especially the raunchy "I've Got What It Takes" (not the same song that Bessie Smith recorded in 1927). 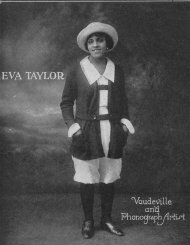 In 1923 Florence Mills became the first international Black female superstar when England's leading impresario C. B. Cochran presented her in the half-White, half-Black show Dover Street to Dixie. She was a sensational success, becoming a London celebrity. Her new songwriting team of George Meyer, Joe Young and Sam Lewis created a big hit for her with a dreamy song about Tennessee, of which Cochran said on seeing her opening night performance: “She owns the house — no audience in the world can resist that,” recalling later “she controlled the emotions of the audience as only a true artist can.” Here it is performed in 1923 by White vaudeville star Blossom Seeley in a rather more upbeat style than Florence used. The song I'm a Little Blackbird Looking for a Bluebird was to become indelibly associated with the memory of Florence Mills and made a huge impact on all who saw her perform it. In the absence of the magic she brought to it, it may seem a fairly banal tune today, and in contemporary African American consciousness anything that seems to hint at the old stereotypes is viewed with suspicion. However, it is easy today to overlook the fact that when she performed it, it was seen as a very powerful protest song. The message that people of any color or creed have the right to search for "the bluebird of happiness" was well understood by her audiences, many of them familiar with this theme from Maeterlinck's famous play "The Bluebird." This is clearly underlined in the version performed here by Florence's close friend, Eva Taylor, who sings the line "Building fairy castles just like all the white folks do" rather than the sanitized version "Just like all the other folks do" which was more common later. Eva recorded it on 17 December, 1924 just five days after the old acoustic equipment failed to capture Florence's version successfully. The record has become a classic jazz standard due to the powerful presence of Louis Armstrong and Sydney Bechet. 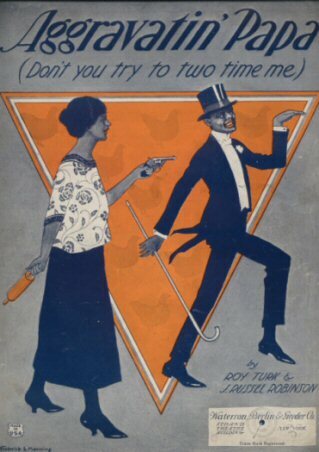 Another highly popular tune from Dixie to Broadway, performed again by the Clarence Williams Blue Five, with Bechet and Armstrong in great form, and Eva Taylor's excellent vocal. 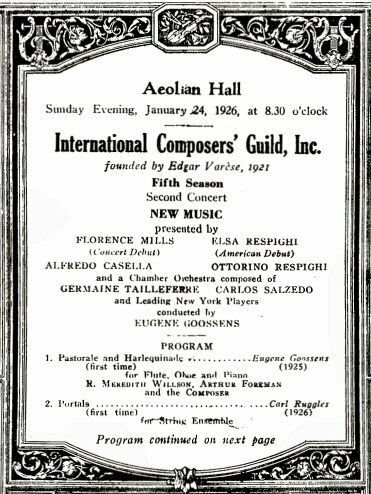 I like to remember, too, one evening at [Aeolian] Hall when a little colored girl named Florence Mills wearing a short white dress, came out on the stage alone to sing a concert. She sang so beautifully. It was a great and thrilling experience. 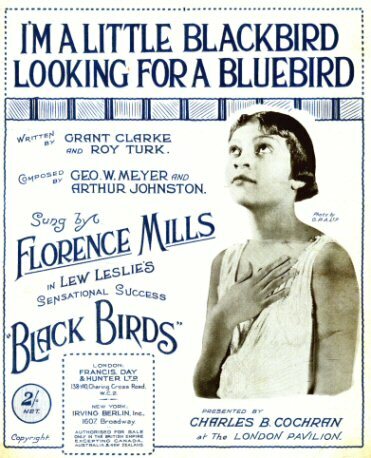 Following the success of "I'm a Little Blackbird" as Florence's theme song Lew Leslie called her next show Blackbirds of 1925. 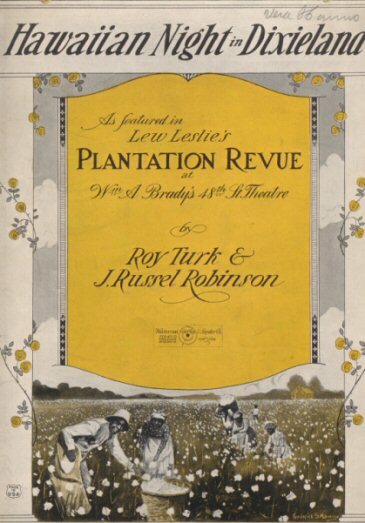 Soon becoming Blackbirds of 1926, it had a six-week run at the Alhambra Theatre in Harlem before going to Paris, Ostend (Belgium) and London, where it continued as Blackbirds of 1927. It made Florence an iconic figure in London, mobbed by enthusiastic fans when she went to the races at Ascot. She was the original in a long line of "Blackbirds" that later included Adelaide Hall, Ethel Waters, Valaida Snow, Lena Horne, and possibly Una Mae Carlisle. 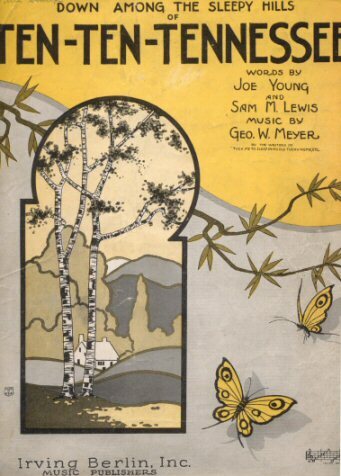 Apart from the established favorites like "I'm a Little Blackbird" probably the biggest hit of Blackbirds was "Silver Rose" , Florence's personal tribute to her laundress mother, here sung first by Elisabeth Welch, then in a lively 1926 instrumental version by Florence's own Plantation Orchestra, followed by their version of another popular Blackbirds number. 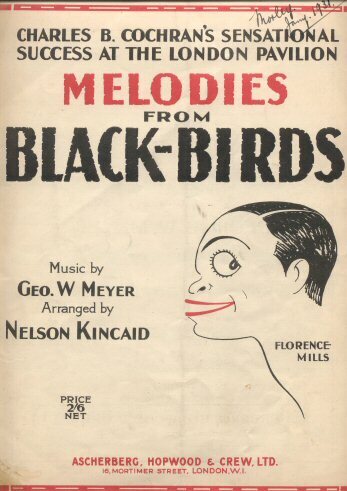 One of Florence's earlier successes, from Dixie to Broadway, was recycled for the 1927 edition of Blackbirds, with great popularity. 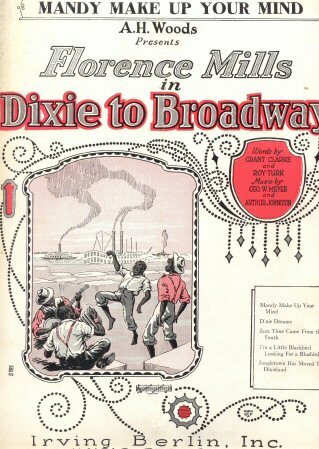 One of the tunes specially written for her by the team of Meyer, Clarke, Turk and Johnson, it was Dixie Dreams, a typical example of the sweet sentimental ballads that Florence wove a special magic with, however banal the song. It's performed here by the "Blonde Bombshell", Betty Hutton, in a nicely restrained version, performed by Hutton in blackface in her role as Blossom Seeley in the 1952 movie Somebody Loves Me [time out for a brief confession - I was a Betty Hutton fan long before I heard of Florence - still love her ]. 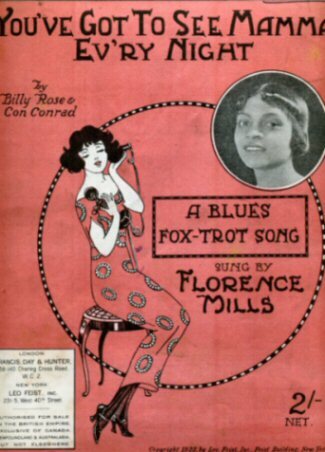 The blackface may have been a backhand acknowledgement that Blossom Seeley recorded most of Florence's songs as soon as she made them popular. 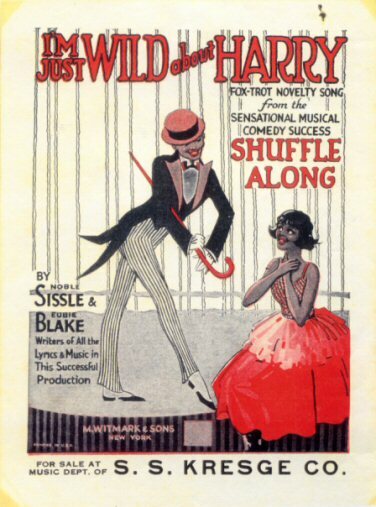 In fairness to some of the big White stars like Seeley and Sophie Tucker they readily acknowledged their indebtedness to Black performers and writers.